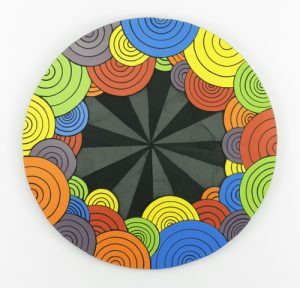 A rainbow of colors punctuates the boundary of this artwork in overlapping circles. Imagine your eyes getting heavy and tired as a sequence of demands parade in your subconscious mind. Snap! Wake up. This artwork is for you.